ACI Industrial Organic PVT. LTD., the company was established in the year 1960 by a group of technocrats under the name of Associated Lab Requisites. 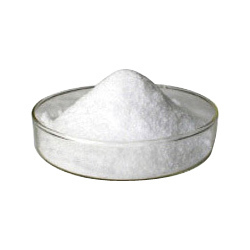 The company is a leading producer of MCA and EDTA salts since the time. The company re-established itself in Vadodara under the name of Associated Chemical Industries in 1984. In 1998 the company became a private limited company by the name of ACI Industrial Organic PVT. LTD.
ACI Industrial Organic PVT. LTD. Is India’s finest and leading producer of MCA and EDTA salts. Our excellent growth rate over the years reaffirms our faith that a dedicated and efficient service to trade and industry will necessary make an increase in our client base who look up to us as a chemical source. Our products are of finest quality, which are apprizeth by our domestic as well as overseas clients. By offering the finest quality &timely dispatch of the goods, the company has become a name to reckon with in the domestic as well as international market. Our Moto, “ Highest Quality is the lowest cost”. We believe in offering highest grade quality product which earn a reputation that our buyers prefer.Building strong relationships, supplying quality products and surpassing client expectations have been the key drivers of ACI Industrial Organic Pvt Ltd.
Our Mission, To provide customers with effective and affordable solutions through our products. Also To keep innovating newer-safer products for a better tomorrow, whilst offering our clients with tailored made products.